You don't normally tell the TSA agent, “Keep the change,” since government pat-downs fall pretty short of an actual massage. But, in fact, those coins you leave behind gotta go somewhere -- and all that orphaned money added up quite handsomely for the government agency last year. In 2014 alone, the TSA collected $675,000 in spare change, and that cash flow has been steadily increasing. The previous year, TSA pocketed just $638,000, making for a year-over-year increase of about 6%. But where does all the money go? 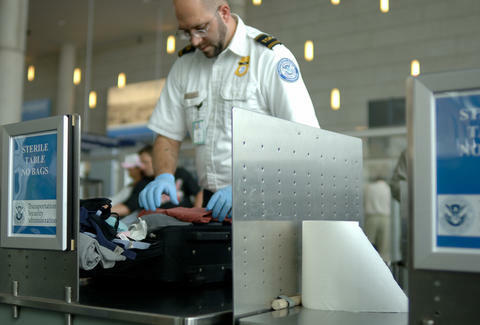 According to the Huffington Post, all spare change is documented and then goes directly to the TSA Financial Office, which means absent-minded travelers are basically buying rubber gloves and those weird hand swabs, but definitely not more smiles. Those were not in the TSA's budget. TSA spokesman Ross Feinstein also tweeted out a list of airports ranked by how much travelers left behind, and the winner for losing money: New York's JFK airport, where a whopping $42,550 was left behind last year. That's enough to buy a brand new BMW i3, or even 46 different 1996 Eagle Talons. Can you imagine having that many sweet rides? Take note of the top 20 airports providing the most spare change, and remember: next time, just put your change in your coat pocket and you won't lose it at the airport.